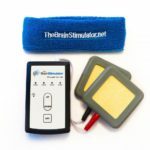 These reviews and testimonials for The Brain Stimulator tDCS device and our company were not solicited and come directly from actual customers. The content has not been altered, and was provided voluntarily. The reviews below are general reviews posted about our company, products, and customer service. 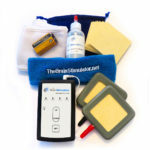 For specific reviews based on one of the tDCS Kits we offer, just click on one of the pictures below. Purchasing the Brain Stimulator device has been one of the best choices I’ve made, first as a human and secondly as a student. This device has not only increase mental acuity and the efficient processing of incoming data, but also has calmed my mental chatter substantially, allowing for deep periods of introspection and focus. I don’t feel like I could function right without this little device! I heard about The Brain Stimulator from my sisters who have had great success with the device. One struggles with focus and the other struggles with anxiety, both swear by this product. I experienced great customer service, the support team caught an order error on my part and immediately sent an email to make sure I was ordering the proper sized replacement sponges. The best part is the support team was not a computer but an actual person! They seem very genuine and definitely made my life easier by saving me time and money. 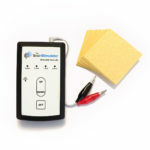 I can’t wait to try my tCDS device! The most notable result has been a substantial decrease in the internal dialogue or “brain chatter.” That alone would enhance other mental qualities, such as focus and memorization. The focus aspect has been exceedingly increased; I feel like awareness personified. My brain also feels immensely efficient at sorting incoming data and sensing information. I’ve also experienced deep states of calm, introspection. I bought the Brain Stimulator after reading about the effects of tDSC on mood and depression, and I’ve been very, very surprised by the positive effect it’s had on my mood. My ability to focus has also improved markedly. I’m still sorting out how to most effectively use tDCS, but I was taken aback by how quickly it helped me. Also, just a shout-out to their customer service: I mistakenly purchased the wrong replacement sponges, and when I asked for a return/exchange, the company responded very quickly, with no hassle, and refunded the difference of price. Yay! I’ve had the travel version of The Brain Stimulator for just over two weeks. This little device is incredible, and I won’t hesitate for a second to say that it’s changed my life. I found out about tDCS on an episode of Radiolab, at which point I feverishly read and watched everything I could find online. There’s a wealth of knowledge to be found on the subject, from YouTube (check out UC Davis’ tDCS Summit) to the subreddit r/tDCS, in which the folks over at The Brain Stimulator are active participants. I looked into many of the devices found online and even considered building my own. The price point of this device made buying it a no-brainer (no pun intended). It’s supremely easy to use, the instructions are clear, and the build quality of all of the parts, pieces, and accessories seems top-notch. I highly–HIGHLY–recommend The Brain Stimulator and tDCS in general. I use the device at least daily, and the effects it’s had on me are notable to say the least. I’ve been able to put down certain self-medicating bad habits and rein in my anxiety (and thereby anger and depression, too). I’ve seen marked improvement in my mood and my scores on a variety of brain games, not to mention how clean I keep my house, how often I’m exercising, and loads more. At a very stressful time in my life, this little device has helped me keep it together and given me clarity. It’s truly a gift. And they go out of their way to source from local companies, ship quickly, and respond almost instantly to queries! There’s nothing not to like. Buy one. Seriously. With the unit on I immediately became focused on the work I was doing, and felt I was steamrollering through it. I would normally become distracted or disheartened when hitting a problem. With the unit on, I found I was just working straight through with momentum, solving problems as I went. This was very different from how I normally work. The speed in which I memorized so many lines of the script was amazing. I had been working on them for weeks and after 20 min of use and a few hours of work, I was so so much more confident in front of my director. I’m always looking for ways to improve myself. I stumbled upon the tDCS subreddit and was very intrigued. I impulse purchased The Brain Stimulator after hearing the radio lab interview and haven’t been disappointed. I use it to aid in meditation and have found it to quiet the noise in my head. I have recommended this to all of my friends and family recruiting quite a few of them. This has been a life changing purchase and I thank you for creating such a useful and simple device. I’ve been using The Brain Stimulator for a few months now. It is a high-quality product and simple to use. I recently bought a second unit for my partner, and unfortunately after a month’s use there was an issue and it broke. I contacted the company for a replacement, and let me tell you – the customer service was beyond excellent! I am an entrepreneur who has helped run several online businesses, so I know good customer service when I get it. They responded to the issue, communicated well, and mailed out a replacement very quickly! I am proud to support this business, and can’t recommend them enough. In the 3 months since I began using it, I have had just 1 (ONE) day where I experienced any noticeable depression symptoms. I am having the best sleep I have ever had consistently. I have an experience of alertness that far surpasses anything else I have ever seen and I’m taking no stimulants whatsoever. My experience with The Brain Stimulator, Inc. has been stellar. Especially the customer service. You were courteous and responsive far beyond anything I could have imagined. Keep up the amazing work! Yesterday I received The Brain Stimulator, all the way over here in the UK. Firstly I was impressed how quickly it arrived, so thanks for that, but now onto the good stuff.I am a 55 year old vet of the British Police. In recent years I have suffered with PTSD along with associated anxiety and depression. It has been completely debilitating. I have been on all sorts of drugs including anti psychotics and also therapies, which have helped but not cured.This morning I tried The Brain Stimulator (totally aware that is not medically endorsed, but frankly desperate) after having done a lot of research online. I used it for 15mins, electrodes positioned for depression on 1mA. I was nervous and not sure what to expect. During the session I felt a slight tingling from the electrodes. On completion after a few minutes I felt a warm sensation in the front of my head. Then I realized, IT HAD GONE! The anxiety, the fear, the depression. This has lasted all day and into the next. No longer do I feel paranoia walking down the street. I cannot adequately tell you how much better I feel, for the first time in years. Thank you, really thank you so much.